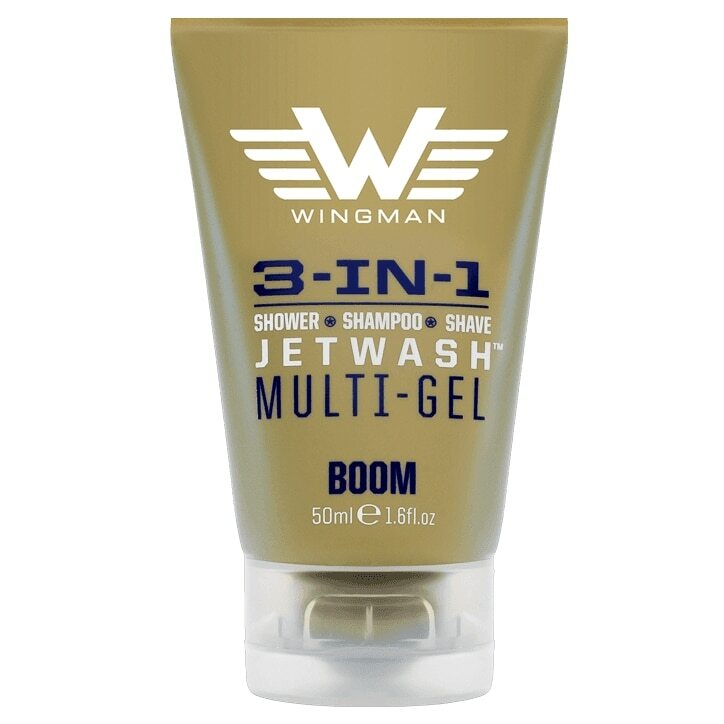 Wingman Multi-Gel works as a functional 3-in-1 travel mini that allows you to Shower, Shampoo and Shave all from one bottle. Available in 3 different styled variations: Charge, Boom and Jetfuel. Apply generously to wet body or hair, lather all over, rinse off. Shave Directions: For the best results shave after a hot bath or shower. Wash your face first in warm water. Massage Jetwash thoroughly into wet beard. Using a sharp clean blade, shave carefully in direction of hair growth. Rinse your blade frequently. Afterwards, rinse off and pat skin dry. Avoid immediate eye area.